Laminitis: Can I Prevent An Attack? What is laminitis? What causes Laminitis? If I suspect my horse or pony has Laminitis, what should I do? What should horse and pony owners look out for? 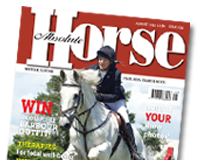 What should horse and pony owners look out for? Can I really prevent a Laminitis attack through feed alone? Simon Woods BVSc, MRCVS – equine vet and partner at the Fyrnwy Equine Clinic, answers your questions.